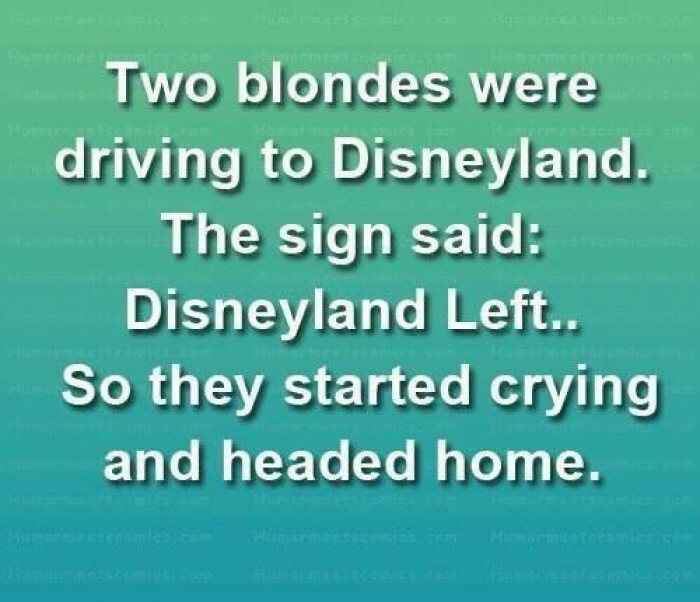 Two blondes were driving to Disneyland. The sign said: Disneyland Left... So they started crying and headed home.